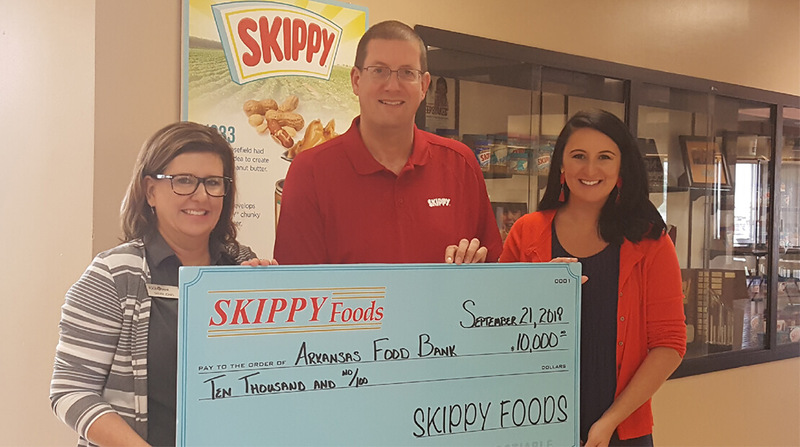 Skippy Foods, the local manufacturing facility owned by Hormel Foods Corporation (NYSE: HRL), announced today that it has donated $10,000 to the Arkansas Foodbank to fight hunger in the Little Rock community. Skippy Foods has donated funds to this organization since 2013. Hormel Foods Donation Helps Fight Hunger in Lathrop Swiss American Sausage Company donated $10,000 to Second Harvest Food Bank of San Joaquin & Stanislaus Counties to fight hunger.